ST. AUGUSTINE BEACH, Fla. – Members of the National Association of Home Builders (NAHB) are celebrating Professional Women in Building (PWB) Week highlighting the many contributions women make to the residential construction industry. St. Augustine’s Cora Johnston tops that “A” list of area industry leaders. Starting in traditional residential sales, then as a builder’s sales representative, followed by management positions and now as owner of her custom construction firm, Generation Homes. Now building distinct coastal style homes in Sea View on 28 lots on AIA in St. Augustine Beach, Generation Homes also builds custom homes in premier communities along the First Coast from Ponte Vedra Beach to Hammock Beach, including Vilano Beach, Flagler Beach, Beach Haven, Anastasia Dunes, Magnolia Dunes, Marsh Creek, Sea Colony, Sea Grove, and Whispering Oaks and on coastal private lots. 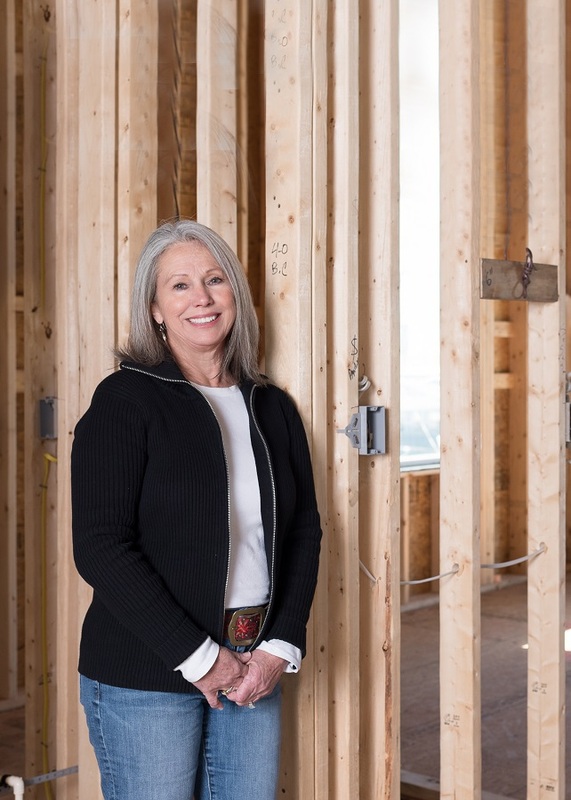 “For the second year in a row, we are celebrating NAHB Professional Women in Building Week to recognize and honor the essential role women play in the residential construction industry,” said Juli Bacon, chair of the NAHB PWB Council and owner of JB Consulting Systems LLC and Bacon Maintenance Services LLC in Woodinville, Wash.
As company president, Johnston gets to do what she loves best. She enjoys working directly with people, “helping them find their dream home and helping them find a way to buy it.” And she enjoys collaborating with her trade partners: the framers, electricians, plumbers, roofers, dry wallers, landscapers and other specialists. Johnston thrives on creativity and getting to personally working with homeowners and their architect and Realtor to flesh out their dream. Sometimes she will design floor plans herself. Many of her customers own their lots, but if not, she will help them locate one. “It is rare in life, business and particularly new homebuilding, when the result far exceeds what you initially dreamed was possible,” wrote customers Wade and Dinah Robertson on the generationhomesusa.com website. NAHB across the country will celebrate in a variety of ways, including holding events to honor achievements of local members, fundraisers to create scholarships for women entering the industry and by teaching building skills to local school children. Generation Homes builds to withstand the test of time and maximize comfort. Using effective and proven construction techniques the builder has earned a well-deserved reputation for style and durability.